IT IS TIME TO UP YOUR LASH GAME! 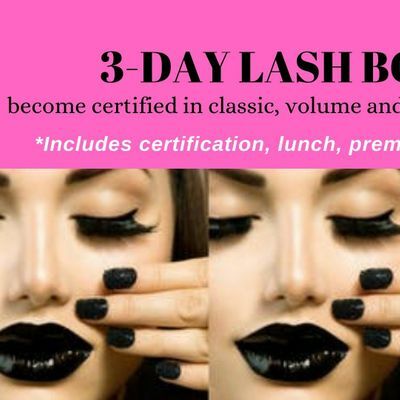 Lash extensions and their careful, beautiful application are in high demand and to increase your income, you need to diversify your lash education. Our 3 day bootcamp is designed to not only teach you classic application, but you will also learn volume and megavolume application which is completely different. 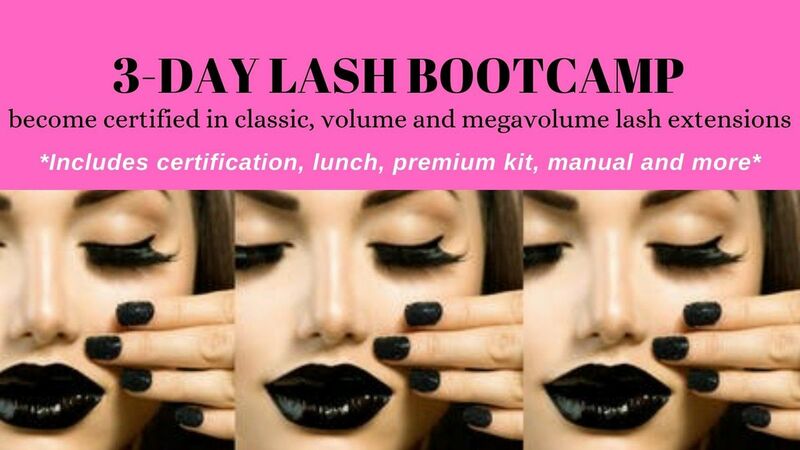 As part of the course you will receive your very own lash kit with tools you can use no matter if your client wants classic, volume or megavolume extensions. With this versatility you will become an even stronger, more educated and businer lash artist. 3 Day Lash Bootcamp Covers: * Eye Anatomy * Mannequin head training AND LIVE MODEL TRAINING * Tweezer types and proper isolation * Difference betwen classic and volume and megavolume looks and how to acheive them * Correct size lash selection and design for your client * Take home premium kit, manual and study guide and certificate of completion * Pricing and business strategies to be in high demand as a lash artist * You'll learn how to remove and complete a fill as well * Mentorship continues after course completion Seats are limited. Cost of Class is $1300. See below for payment plan details. Payment plans are also available. Please text for additional information 760-501-6697. 3. This payment is for deposit only to reserve your space in the workshop. The remainder of your balance of $900 in CASH is due at the start of the workshop.